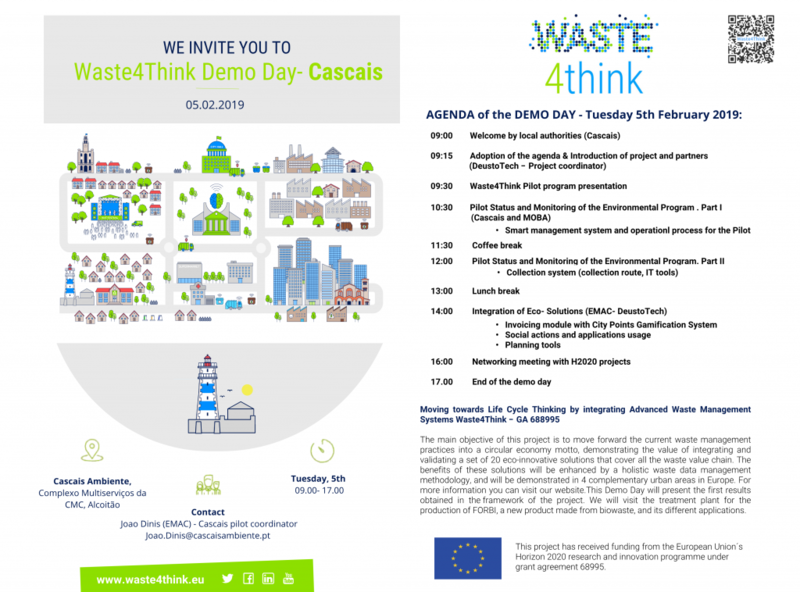 On 5th February, Waste4Think partners will celebrate a Demo Day in Cascais, where the partners involved in the Cascais pilot will demonstrate the progress in situ of the ICT tools developed in the project. 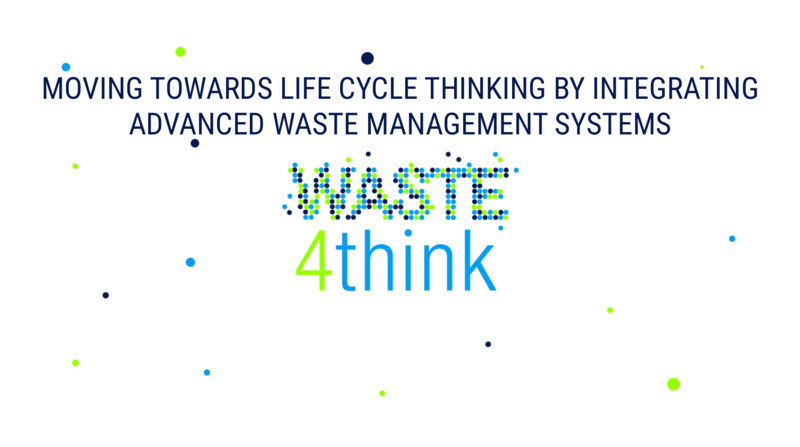 The program will include a demonstration of Invoicing module with City Points Gamification System and also the applications in usage regarding the social actions of the project. Finally, there will be a networking session with other H2020 projects in order to share experiences and lessons learnt. The attendance to the event is completely free. If you want to participate, please contact the following project member Joao Dinis (Joao.Dinis@cascaisambiente.pt). This entry was posted in Cascais, news. Bookmark the permalink.